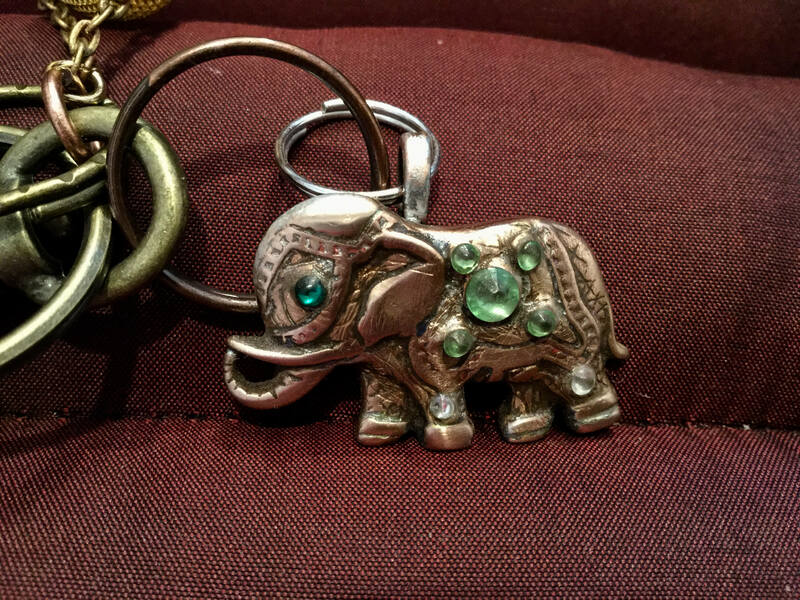 BUY an elephant/SAVE an elephant. 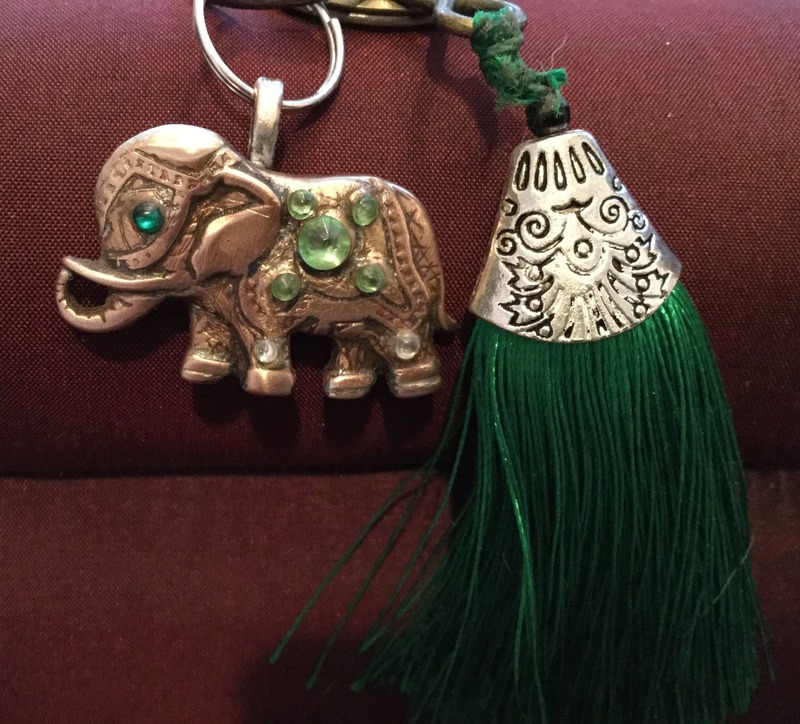 For each elephant piece purchased, no matter the price, I will donate $10 to the Elephant Sanctuary in Tennessee. The donation will be in YOUR name or the name of the person frwceiving the elephant. You'll receive a receipt confirming the donation. 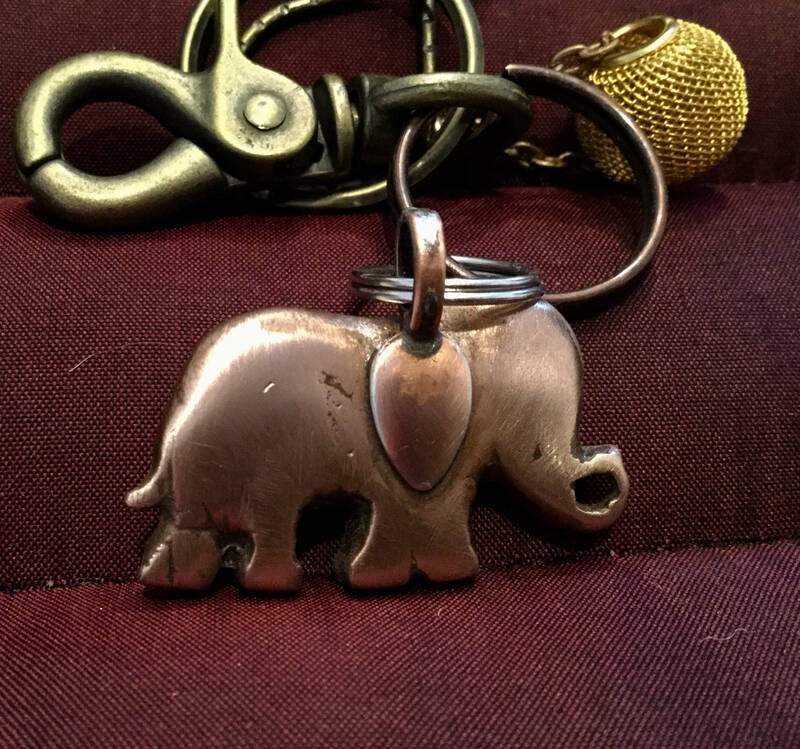 This little fellow has a raised trunk, a symbol of good luck. He'll bring good karma. 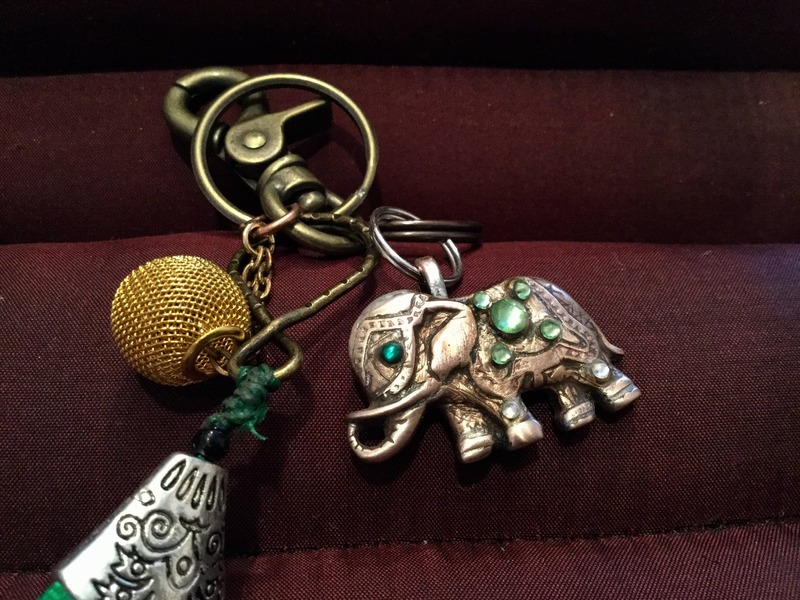 Note the golden color ball that adds “swing” to the keychain. The lobster claw is For attachment to your purse, shoulder bag, belt loop, or anywhere you want to attach your keys. The split ring is for keys to hold your keys and will do so securely. 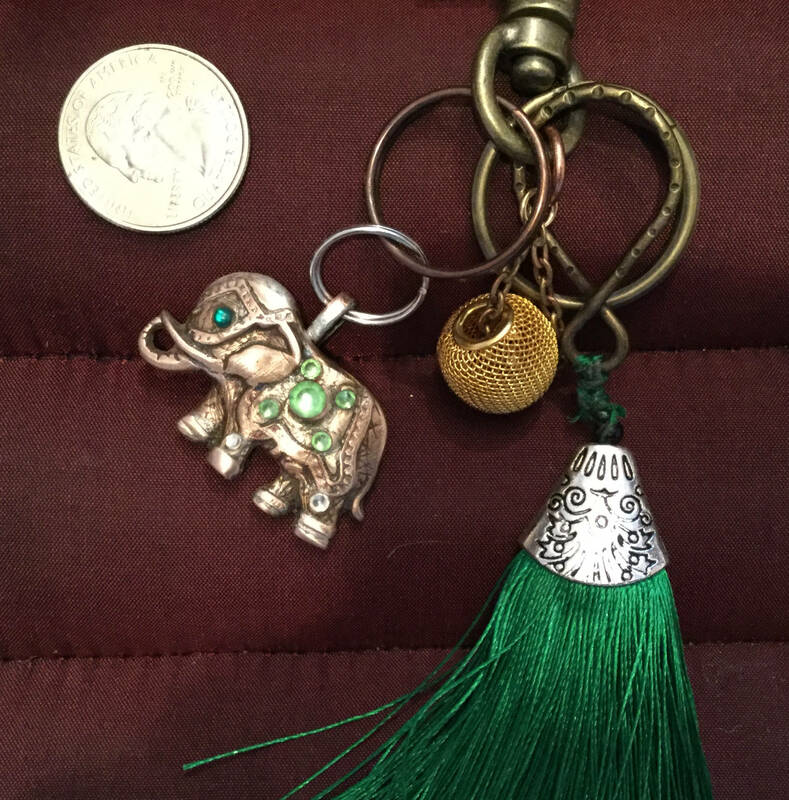 This elephant is enhanced by a large 3” green tassel with a silver cap. Bag bling is the latest trend in jewelry and accessories. 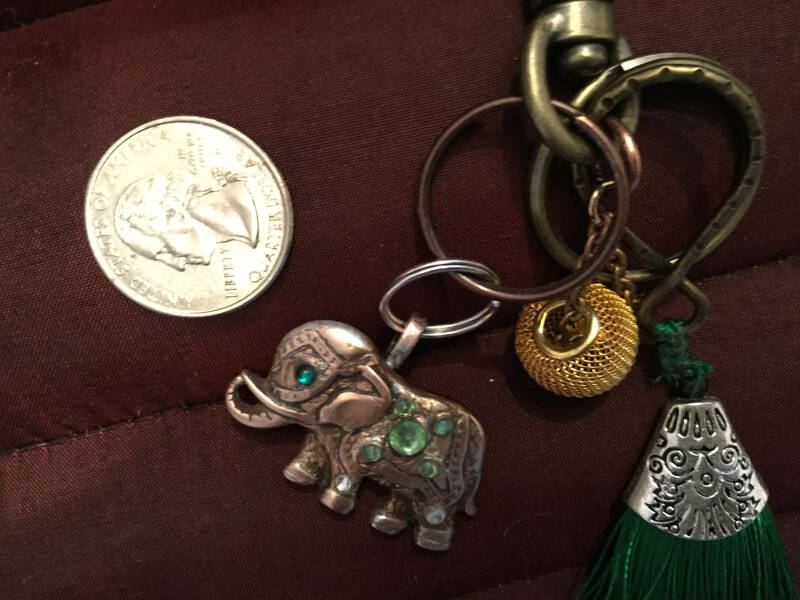 One photo shows the reverse of the elephant along side a quarter. I use close up photography for the website photos of my pieces, and as a result, they may appear larger than they really are. 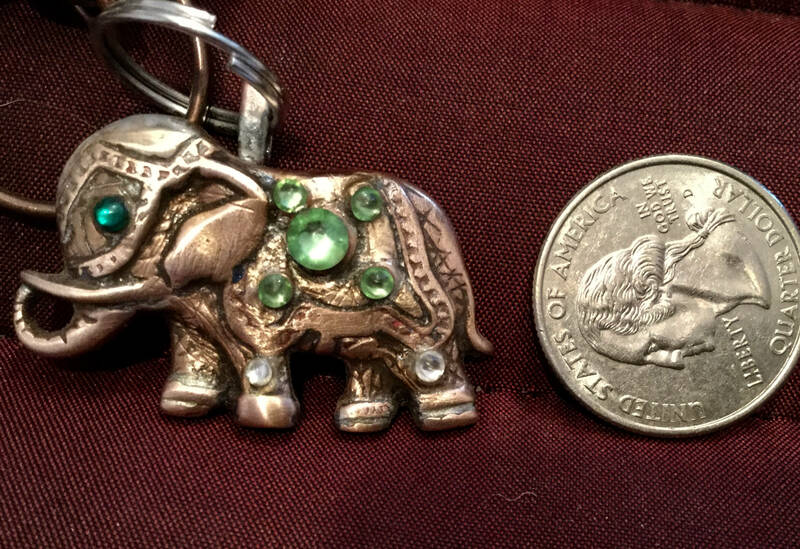 This image comparing the elephant to a quarter should help indicate size. 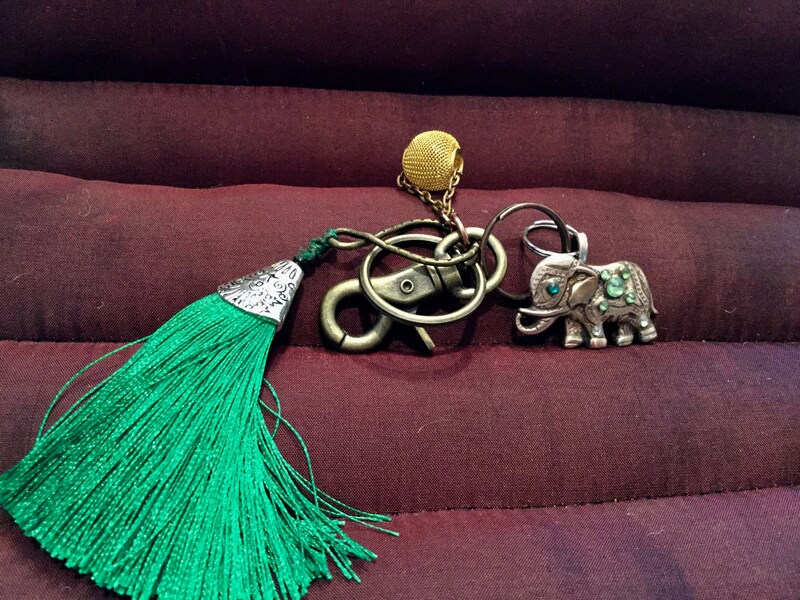 The elephant comes in a lovely brocade silk pouch. Shipping for one item is $6.50 via USMail, this is the rate for a standard small box to protect your treasure, however, if two purchases are made, they can be shipped in the same package for no additional postage.